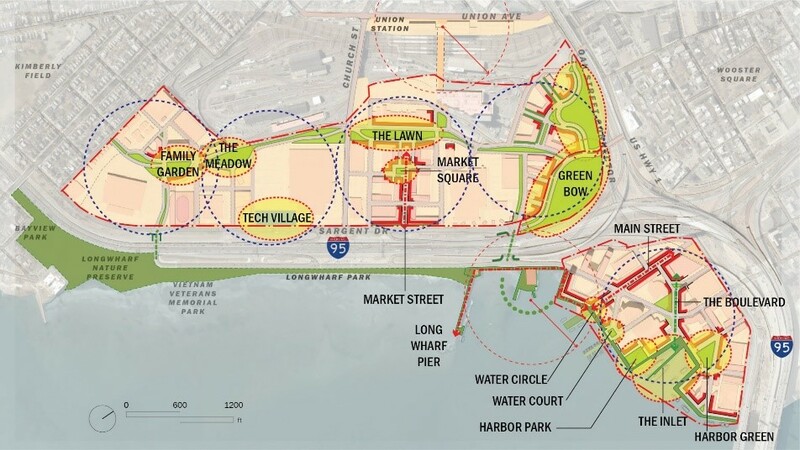 In the long-struggling city of New Haven, Connecticut, city officials have been showcasing the latest developments of their Long Wharf revitalization project. 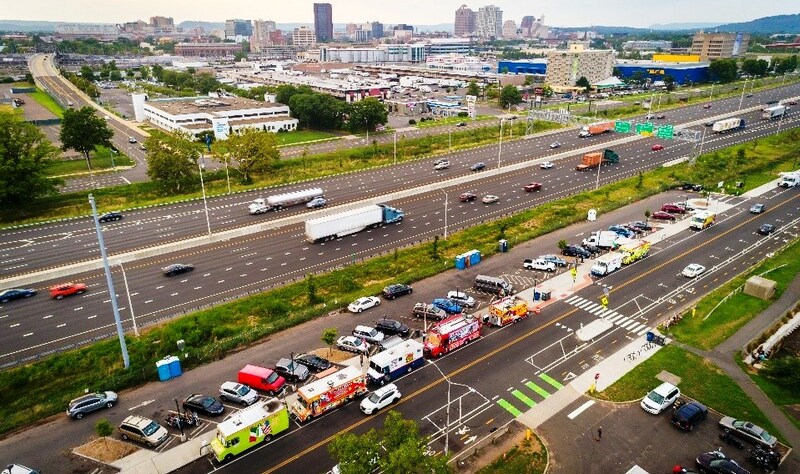 On March 19, 2019, New Haven’s Mayor, Toni Harp, joined city staff members, Long Wharf business owners and other local stakeholders at the Canal Dock Boathouse to show off their latest completed projects, such as the Food Truck Paradise, the Info Center and the Canal Dock Boathouse itself. New Haven’s waterfront has played a central role in the city’s history. But as in many cities along the Northeast Corridor of the U.S., for the past half century, the city’s vital connection to water at Long Wharf has been largely cut off by poorly-planned highway infrastructure and industrial-scale land uses. As a result, a process of repurposing, renewing and reconnecting (AKA: the 3Re Strategy) is needed to revitalize the area. Now spurred by climate threats of storm surge and flooding, creative thinking and planning for disaster resilience and adaptive and sustainable development are opening exciting new opportunities and visions for the Long Wharf area. 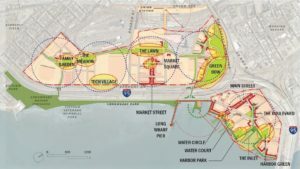 The change is already underway: new cycle tracks, a visitor’s center, walking trails, a living shoreline, a restored park and wildlife refuge, the Canal Dock Boathouse, the Long Wharf Visitor’s Center and Snack Shack, and improved infrastructure for Food Truck Paradise are bringing new life to the waterfront. After over a year of analysis, planning, and community outreach, the City of New Haven released the Long Wharf Responsible Growth Plan, aiming to support the social and economic development of the Long Wharf District through strategic focus on coastal resiliency, progressive economic strategies and community engagement. The new Long Wharf Responsible Growth Plan envisions five walkable neighborhoods centered around existing owner uses. The plan suggests a lively densification of mixed-use development at each site and improved ties to transit and adjacent neighborhoods. The neighborhoods are tied together by a green infrastructure park and complete street that will provide both resilient protections and transformative public enhancements. All images courtesy of the City of New Haven. Learn more about The Long Wharf Responsible Growth Plan. Read the completed Long Wharf Plan.